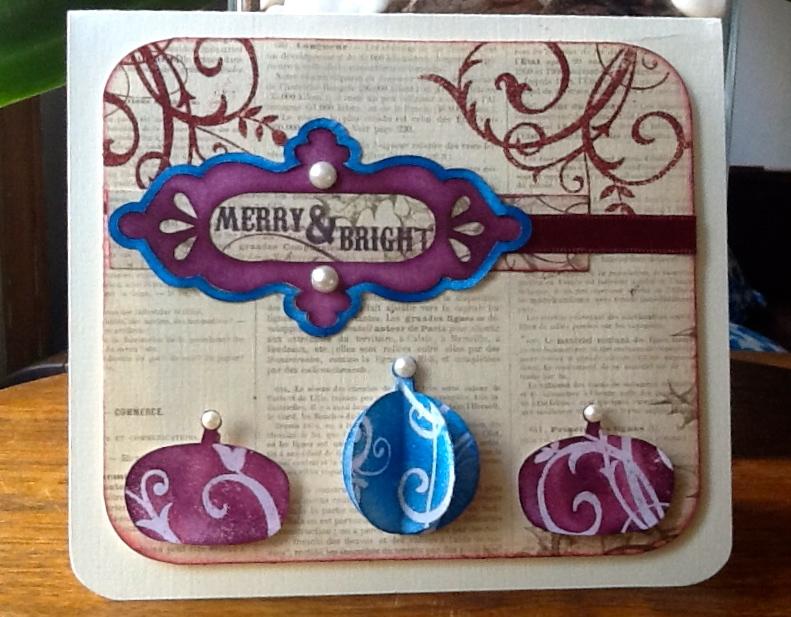 Fashionable Stamping Challenge " Im dreaming of a white Christmas " and Crafty Cardmakers " Embossing "
They say that creativity is therapy but after my return from my very sad visit to London I am having great difficulty sitting behind my desk and creating. To be honest I am not at all in the mood but I fear that if I don’t do something then I may not for quite some time to come. So today I would like to share a few cards that I made a few weeks ago and are in a similar vain to my previous post where I promised to show you them upon my return. ( it seems the first two lines of my post are not visible ( so nice to be back ! ) So what it actually says for those who dont have X ray eyes is : They say creativity is therapy but after my return from my very sad visit to London I am finding it extremely difficult sitting behind my desk and creating . 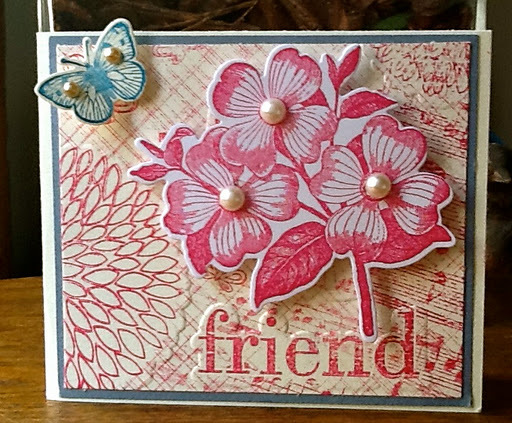 The Fashionable Stamping challenge is one that I have been following for quite some time and consists of some of my favourite and very talented blogging friends, which is most probably one of the reasons I have not taken part before. As individuals they are amazingly talented artists but when you group them all together well it can be quite daunting for us newcomers ! Their theme is ” I’m dreaming of a white Christmas” but we are advised that we can use any colour we like phew ! I do prefer the bold ones as you will see by my cards. 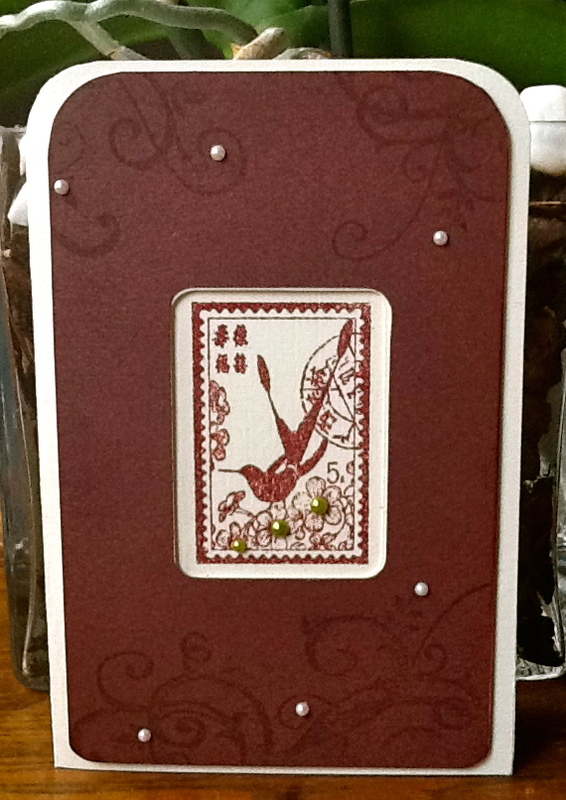 The second challenge I am entering with the same cards of course is for Crafty Card Makers and their theme is ” Embossing ” I do love embossing and it usually features somewhere on most of my creations. Please excuse the rubbish photo’s I was in a hurry to catch my plane and upon my return I find that they have been sold ! so you will just have to use your wonderfully vivid imaginations! The obligitory Marie close up ! This one has the embossing just on the bauble and a little distress embossing in the left hand corner although you would never know by the photo ! 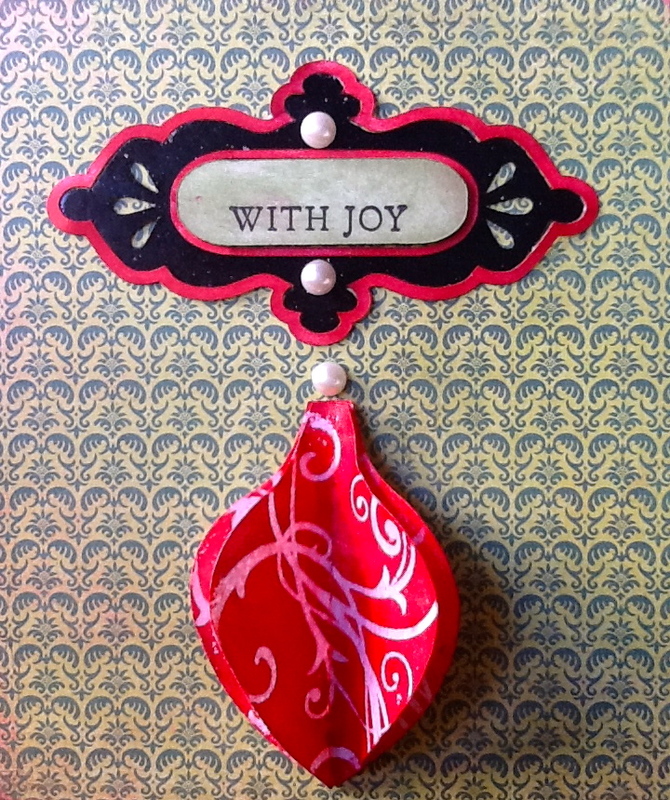 This last one is quite a tarty little number with distress embossing in the corner and around the sentiment ! I am not at all sure if I like this one but it did beg to take a little walk along the catwalk , maybe some one out there will like it, after all beauty is in the eye of the beholder ! 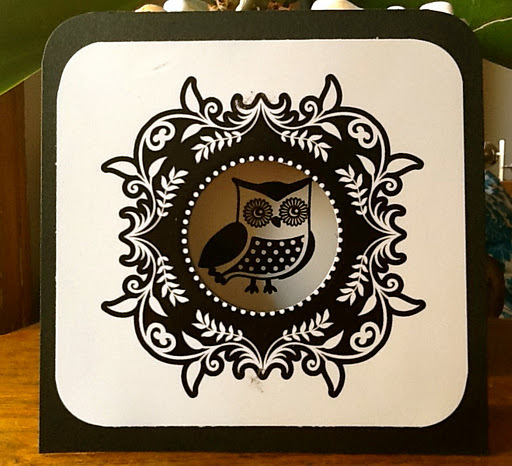 Please do pop over to Fashionable stampers and Crafty Card Makers to see their fabulous piecies by both design teams and I am sure you will be inspired ! will try my best and pop by and say hello I have missed you all and look forward to seeing what you have all been up to ! I am not here !! I am in London and if all is right with blogger you will be reading this on the 20th of November. If this works it will be a first ! every time I schedule a post it just publishes it straight away and I have to delete it, so here goes ………..
As it is ( hopefully ) the 20th of the Month our new card sketch for Get Creative has gone live. Our lovely leader and all round good chap Irini designed this fantastic sketch. Have played around with it a little , a bit of flipping and rotating, artistic license if you will ! As you know I have to have my close ups ! 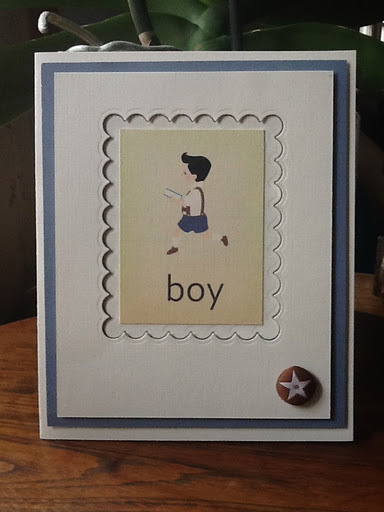 I used my Silhouette for the die cuts then used the emboss resit technique with my SU swirly stamp which I coloured over with SU inks . 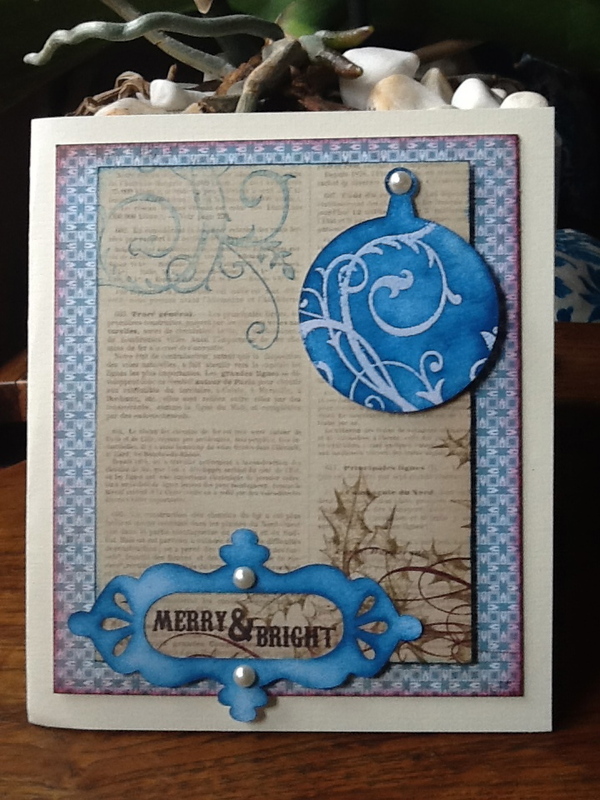 I embossed the DP with Ranger distress embossing powder, some pearls and ribbon inked the edges and there it is. It looks simple but the little blighter took forever. I will be sharing with you some Christmas and Thank You cards I made using similar techniques upon my return . I know you can all read Greek …… but for the one or two of you that cant it basically says that ” Every day is Christmas and there will be 32 days full of creative ideas and inspiration with lessons focusing on handmade items full of the Christmas spirit, so definitely worth winning a place with Cherry Nest. Well am off now to stay with Dolly and her family in London so please forgive me if I am unable to visit you all during the next week but under the circumstances that most of you know, my time is spent helping take care of her and her family during this difficult time. CAS-ual Fridays " Tag your It "
Just a short post today as I am getting ready once again to go back to London to visit my friend Dolly and her family. I am in the midst of making Christmas cards and Thank you cards and my desk is heaving under the weight of all things festive. As it is my first Christmas since the craft bug bit me I feel it is only right and proper to be making my own this year ! Anyway the card that I am sharing with you has nothing to do with Christmas . 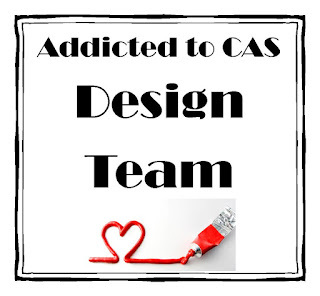 CAS-_ual Fridays is a challenge site that I have been following for awhile and I must say I think the DT are fabulous they always have great Challenges and their pieces are always so inspirational if not a little daunting, which is why I have not plucked up the courage to enter before now ! Their theme this week is to make a clean and simple tag or project incorporating one. so here goes ….. In my desperate attempt to show the depth of the window but failing miserably a close up ! Now aren’t you glad I shared that with you !!! so exciting eh !!! I feel a little mean as I am only showing one card, my loyal followers will know that I usually share at least three so you all got off lightly this time !!!. Why not pop over to CAS-ual Froidays to see what the the amazing DT have come up with and there are already so many fabulous entries . On another note the winners have been announced over at Get Creative for the 13 yes 13 challenges that we had running last month. 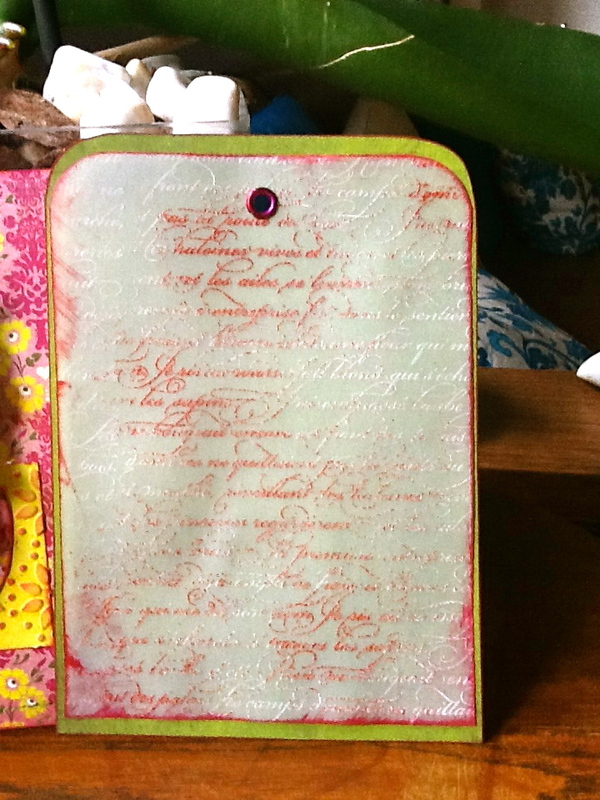 My particular theme was embossing dry or wet and there were some amazing entries, it was so hard to choose . I would like to thank every one who participated as we had a record number of entries but there can only be one winner and that was the lovely Maria from Made by Maz , congratulations Maria. Would love to give a little shout out to Rena and Maria who although they didn’t have any embossing tools whatsoever came up with some very ingenious projects well done ladies ! Creative Craft Challenges " Minimalistic " and Four Crafty Chicks " Babies "
So as you have most probably gathered by the title of this post I am taking part in two challenges and the upshot of them both will be ” Minimalistic Babies ” sounds like a pop group !!! 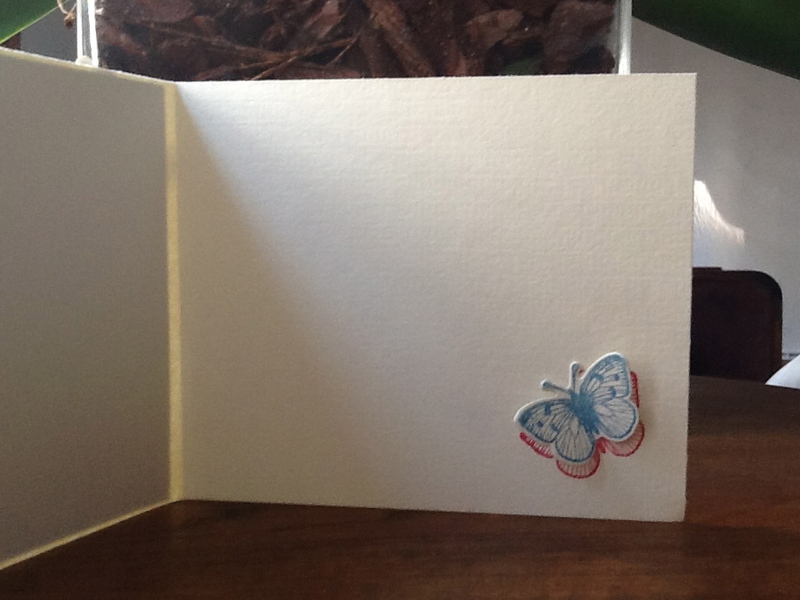 Creative Craft Challenges who I recently came across via the blog of the ever so lovely Cheryl of Cheryls Creative Art their challenge this week is to produce a clean and simple card . 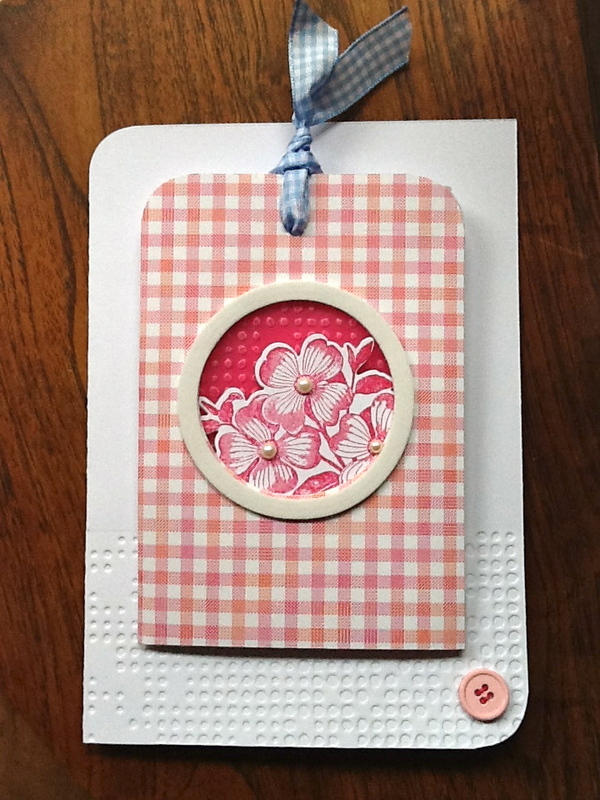 The second challenge is by the intriguingly named Four Crafty Chicks whose theme is ” Babies ” Now I can do a Cas card with the best of them ( well maybe that’s a little exaggeration ) but I have never made a childrens card let alone a babies ! so this is a first , so please be gentle with me now wont you ! For those of you who do not like the cute and sweet please look away now ! You have been warned ! For the braver bloggers here are a couple of cards that I made which I think fit both challenges perfectly, although I do stand to be corrected by both of the DT members should they had differing opinions. 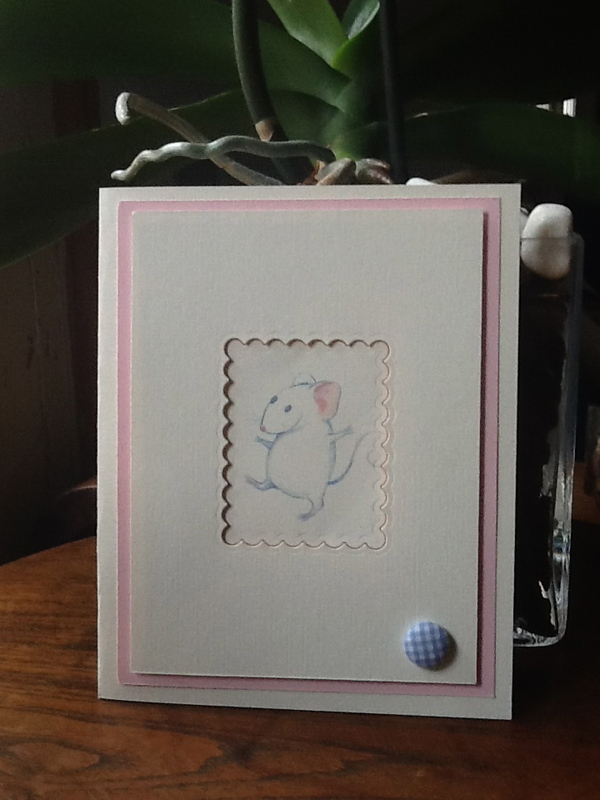 I should be sharing two more cards with you, I did make the ” Girl ” Version of the first card and the male version of the second ( the male mouse was a little more macho I think he had a bigger tale ! ) but for some reason blogger once again has interfeared and wont let me upload them ! Most probably trying to protect you all from a sugar overdose ! Ah blogger works in mysterious ways ! Ah but your not getting off that lightly I have a back up ! but specifically for the Creative Craft Challenge as I don’t quite think it fits into the ” baby theme ” for the Four Crafty Chicks ! I think my little owl is quite minimalistic I hope the ladies at Creative Craft Challenges agree ! Why not pop over and see what both design teams have come up with to inspire you and maybe take part . I have to say I quite liked creating these simple cards and if you don’t behave yourselves I might even show you the ones that got away at a later date. Sorry for this higilty pigilty post ( no idea how to spell that ! ) but I am on a diet and my nerves are all over the place ! Good morning bloggers and bloggerettes ! Hope you all had a wonderful weekend and for those in the UK hope all of your pets nerves are back to normal after the Guy Fakes celebrations ! I just wanted to say a big big thank you to everyone who joined in our challenges 13 of them in total at Get Creative last month . We had a record amount of entries and the winners will be announced in the next few days boy its going to be tough there where some fabulous entries !! 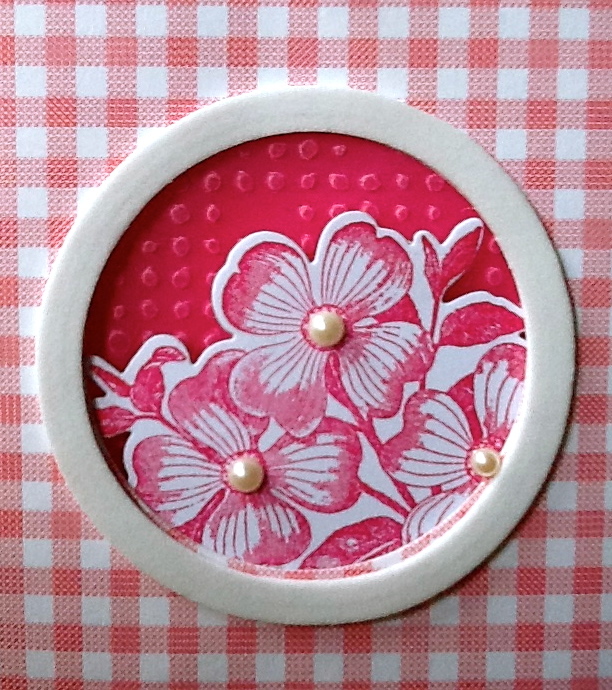 A new month and the first challenge at Get Creative is a card challenge are illustrious leader Irini has asked us to make a card using two stamped images , but they must be different stamps . 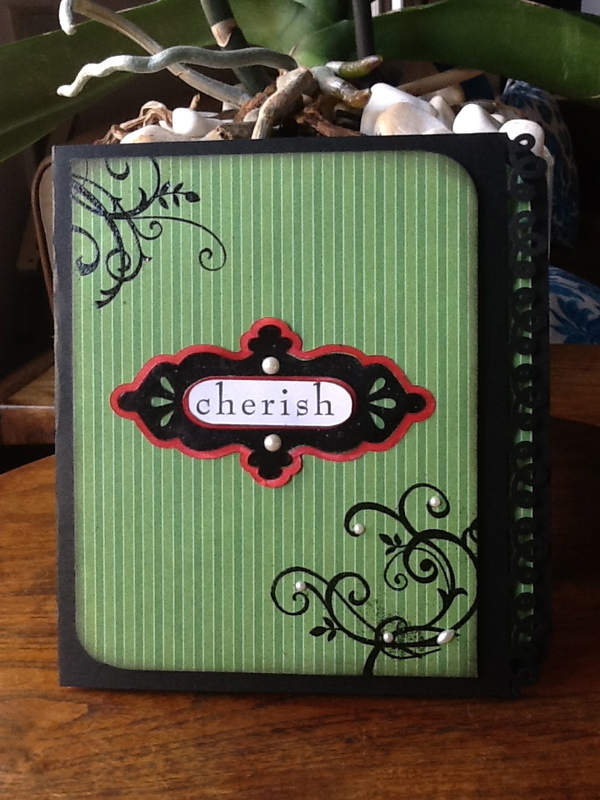 I have used my new set of Hero Arts and Sizzix die cuts stamps and embossing folders on this one. oops looks like i have used three stamps on this !!!!!! Moving swiftly on and using only TWO stamps this time the centre image is Crafty Individuals which I have embossed with Ranger distress embossing powder and the swirly stamp is SU which I have stamped with Versamark watermark resist ink to give a tone on tone effect. For this card I have used two Hero arts stamps and coloured the flower with Letraset markers ( my first attempt and probably my last ) I and markers do not mix !! 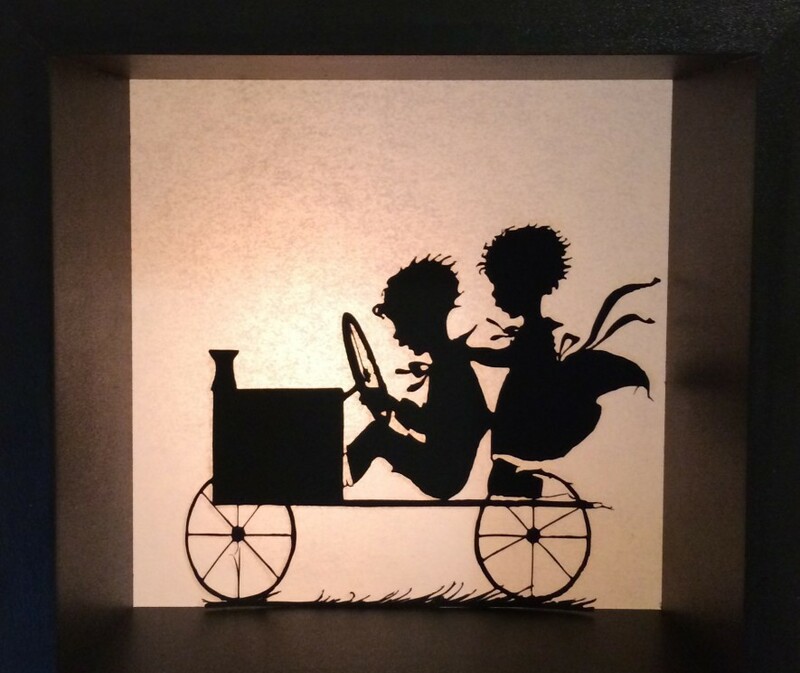 The sentiment is cut out using my Silhouette machine , which I have to say is feeling a little neglected of late ! 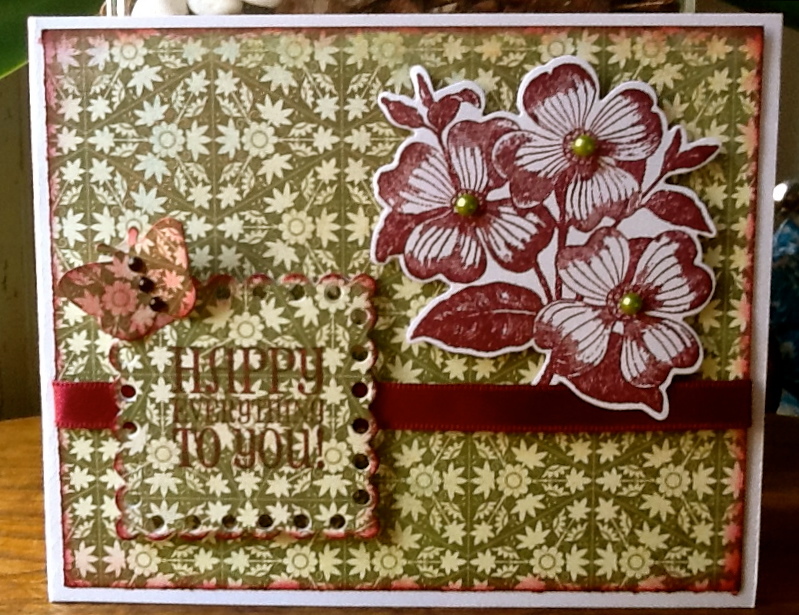 This one is a variation on the first card using DP instead of the background stamp its a bit busy and I’m not sure if I like it but it begged me to be shown !! Why not pop over to Get Creative and see the beautiful inspirational pieces by my talented team mates and why not even take part. We are sponsored this month by Cherry Nest who are offering a free place in one of their on line classes entitled Every day is Christmas Woo Hoo !!! 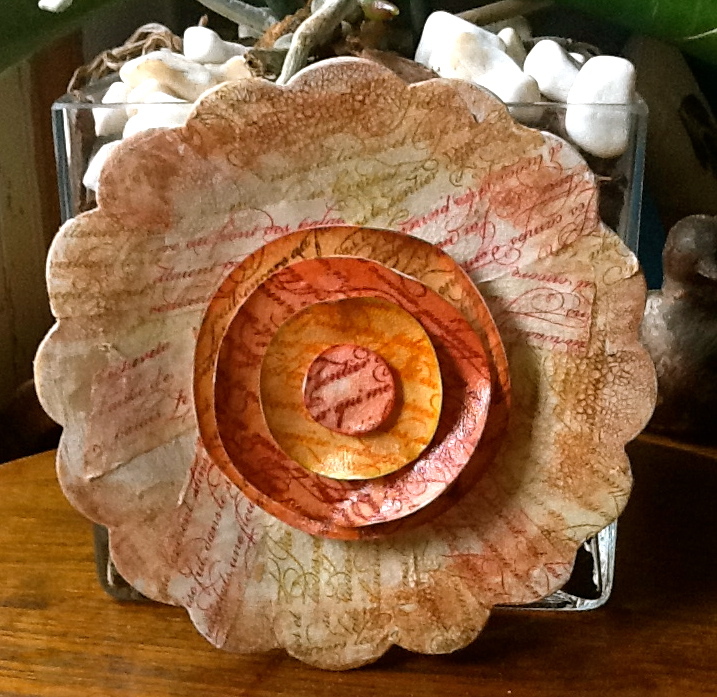 Nearly forgot to mention that the fabulous Lynn Stevens from Trash to Treasure is Celebrating her three year blog anniversary and is giving away some of her masterpieces to some lucky followers. I really didn’t want to post this as I am sure you will rush over there and my chances of winning of one her amazing pieces of art will be drastically reduced. The thing is not only is Lynn an amazing artist but she is a thoroughly lovely lady so for once I will just have to put my greediness aside ! Just for Fun " Favourite Stamp " And I Won Again !!!! Yes yes I won again !!!!! 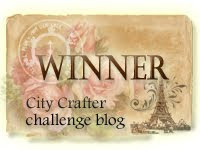 The lovely Fliss at Stampers Chef had a blog give away for reaching double figures !! Not just any ordinary candy but three sets of stamps that she designed herself and they look fabulous ! So firstly congratulations on reaching the 200 mark and secondly thank you ! thank you ! thank you ! Right moving along the bus after what seems like an eternity I am taking part in one of Just for Fun challenges their theme this week is ” use your favourite stamp ” well it only seems fitting that I should take part using my favourite stamp on one of my favourite sites challenges. Neet has chosen the theme for us this week. Although I have lots of favourite stamps I have chosen the one I ” go too ” more often than all of the others and looking back on my cards it has turned up on quite a few of them ! It may not be the most beautiful or unusual but it is the most used so therefore my favourite. Infact if you look at my new blog header the stamp has been used on two of the projects ! 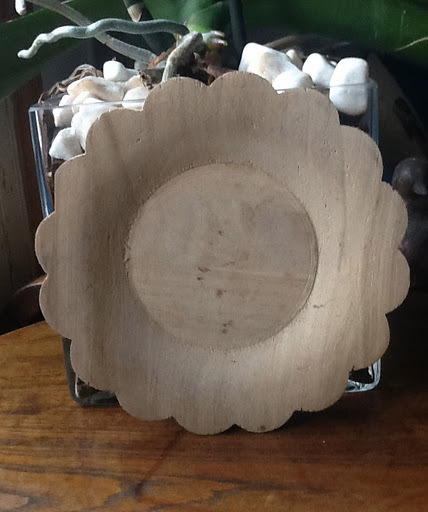 Ok this is the before shot not my favourite stamp a wooden dish that I use for window displays in my shop . 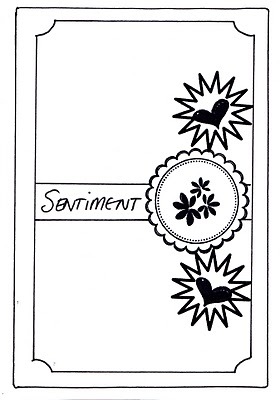 So my favourite stamp is this Stampin Up text script which I also have as an embossing folder. Here I have made my own tissue tape stamping the script all over with Stazon ink and then adhered it to the plate with Gloss and Seal. I then added Ranger crackle glaze and left it to dry I did also use a base coat of Gesso before I started the background. When it was dry I added distress ink over the crackle and then removed it in various places with my sanding block. 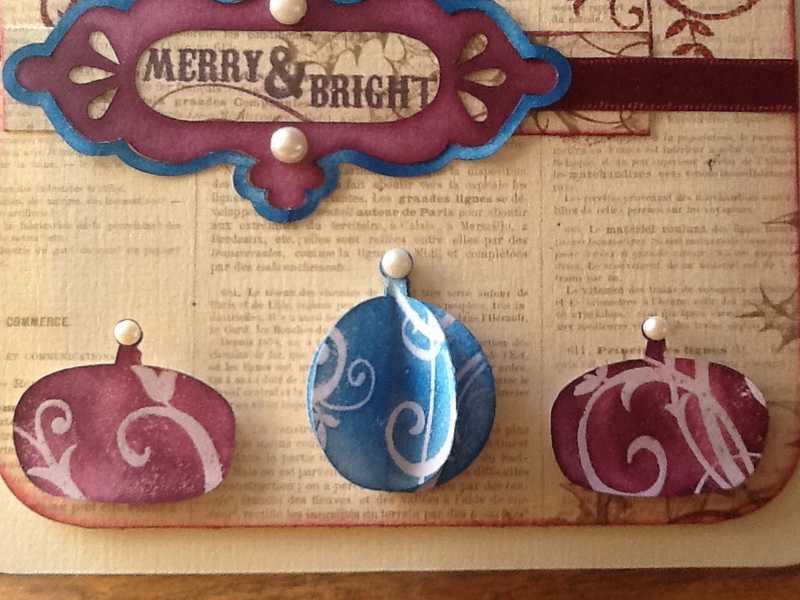 I cut out four circles of card and followed the same procedure just using my sanding block on the edges. 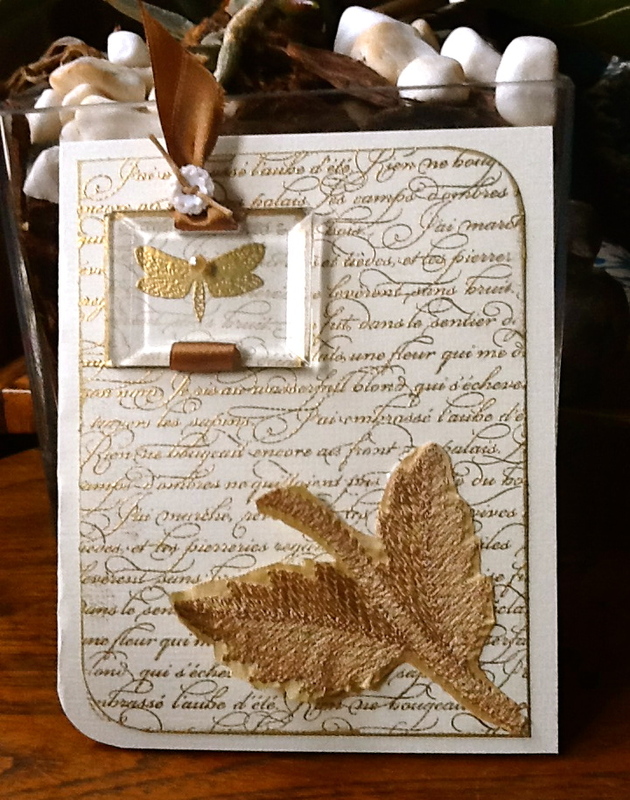 The script stamp has this time been embossed with Hero Arts Gold embossing powder a silk leaf added and using a S U beveled windowpane placed an embossed butterfly underneath onto a piece of card that I have also stamped the script onto with distress ink. Ribbon and a button for a little extra something somethin ! 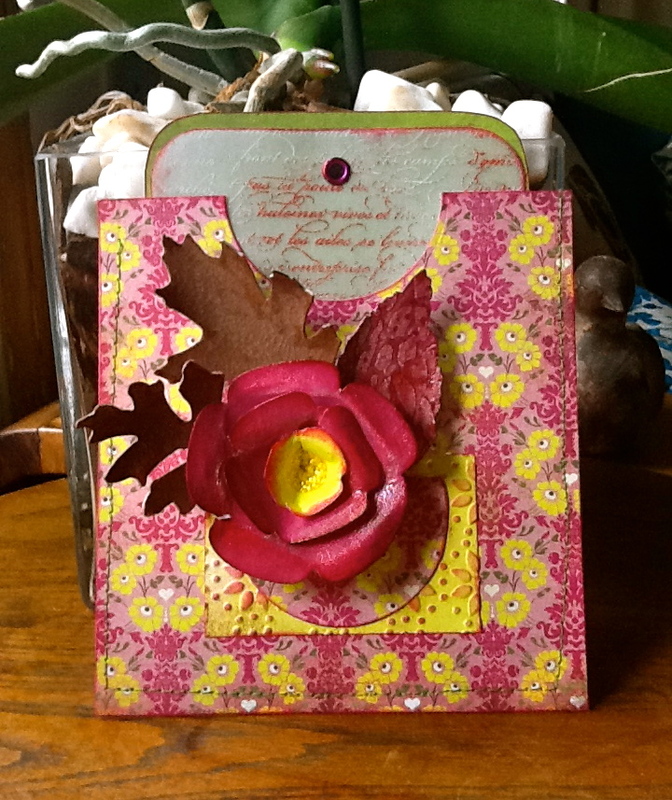 Here I have made a pocket sewing two pieces of DP together and making some leaves from grungeboard using my tattered florals die , coloured them with DI inks embossed them and then coated them with glossy accents and put them in the little pocket on the front of the envelope. 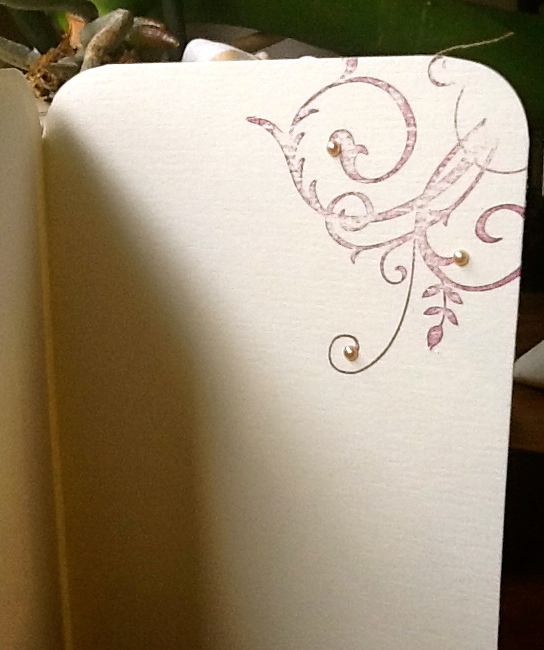 Used my script stamp again and stamped onto velum with Stazon opaque white ink and then embossed it in a random fashion with DI embossing powder. 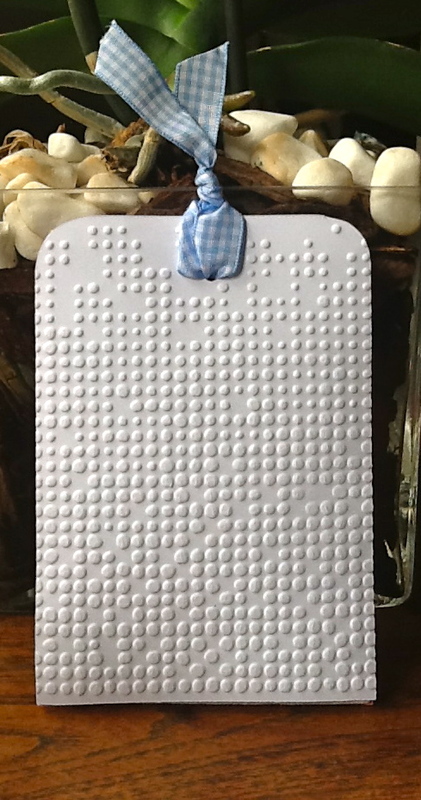 This fits inside the envelope and a message can be written on to the back of the tag. Made a flower again with the aid of my big shot and blah blah blah same technique as above and attached it to the leaves. 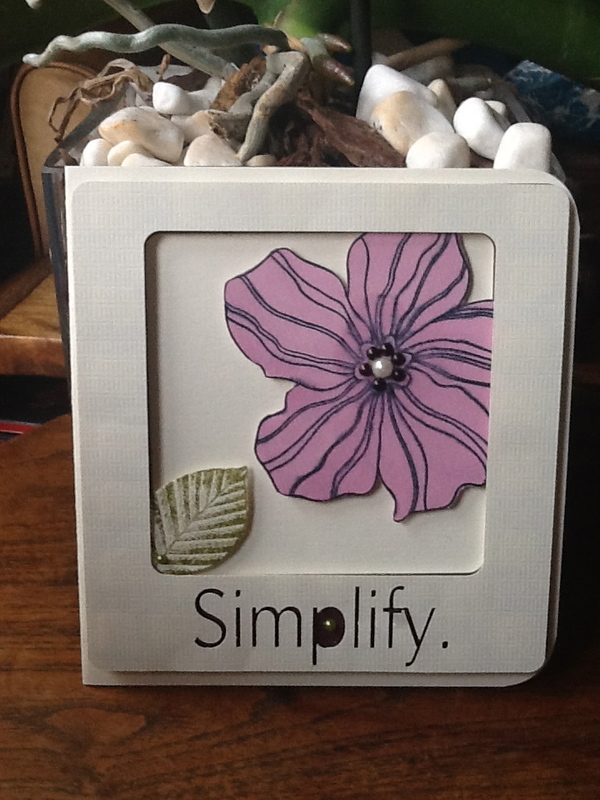 Do pop over to Just for Fun to see the fabulous inspirational pieces by the lovely ladies , Zoe, Neet and Von. Thank you for popping by and for all of your lovely comments that you leave me I really do appreciate each and everyone ! No cards today !!! Just a few announcements! 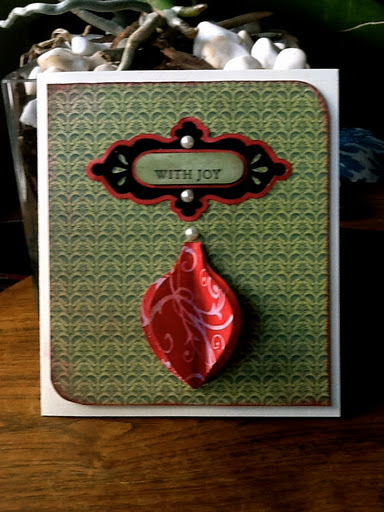 Over at Get Creative where I am a DT member, during the month of october we were and still are having a card bonanza with each member of the design team posting their own challenge and offering a prize in their category. There are 13 challenges running all with a different themes !!!. Well in order to give everyone a fair chance of taking part as some of the challenges were posted close to the end of the month, the deadline has now been extended until the 5th November . Why not pop over to Get Creative with thirteen challenges running i am sure there is something to suit everyone’s taste !! 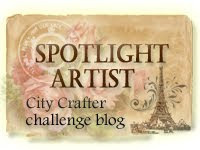 Did you notice my new banner and blog button !! 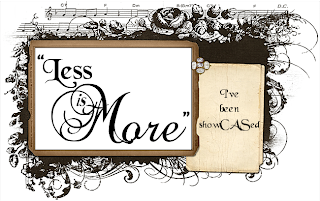 It was created by the multi talented Cindy Adkins of Whimsical Musings . I have to say I think they are gorgeous even if it is based on my own work lol. Cindy was given free reign to choose and design them both and think she did a fabulous job and so reasonable too ! She has chosen pieces that I believe reflect my style and I couldn’t be happier. 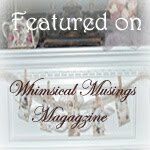 For those of you that don’t know Cindy do pop over and visit as not only is she a fabulous artist, writer, designer but she also showcases many wonderful and talented designers on her blogs. 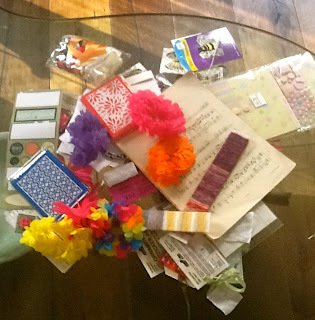 Last but least a little while ago I was lucky enough to win some blog candy from the fabulously talented Gerri Herbst of Its all Treasure. Well when I say some candy I mean loads and loads of candy !! The photo just doesn’t do it justice there are so many wonderful and interesting little treasure here I don’t know where to start ! but I know I will enjoy creating with them. Thank you so much Gerri for your kindness and generosity. 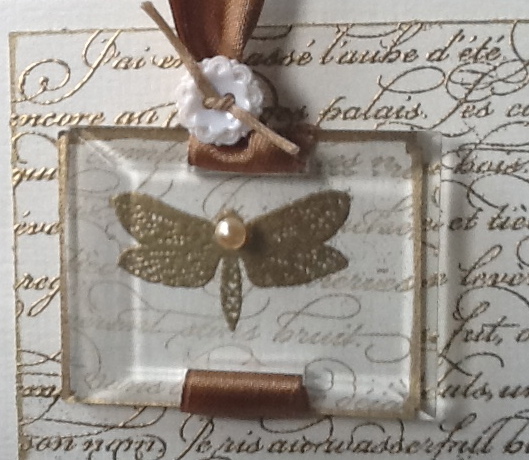 If anyone would like to grab my gorgeous blog button please feel free !